The Dutch documentary ‘Nederland Whiskyland’, which premieres on the 20th September at filmfestival ‘Film by the sea’, shows from nearby how Dutch whiskey-expert and investor Michel Kappen outsmarts everybody in buying the most wanted single malt Scottish whiskycollection in the world after years of intensive negotiations. The exact purchase price has not been revealed, but it concerns millions. 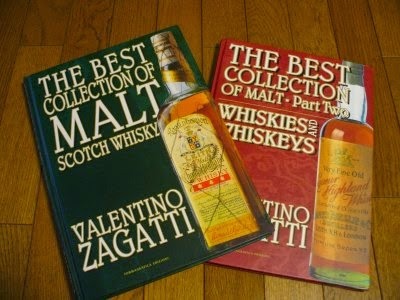 It is also the only whiskycollection ever that appeared as a book. Documentarymaker Gwen Jansen followed Michel Kappen with a camera for almost two years in order to be the first and only one to capture the dramatic takeover of the Valentino Zagatti collection. The dramatic takeover had been canceled or postponed several times during this period, because the 83-year old Italian owner Valentino Zagatti, who is blind, found it extremely difficult to say farewell to his collection of almost 3000 whisky bottles. As the result of a genius move Michel eventually succeeded. The collection has been transferred to the Scotch Whisky International museum in Sassenheim, and will be displayed there for the next decade. 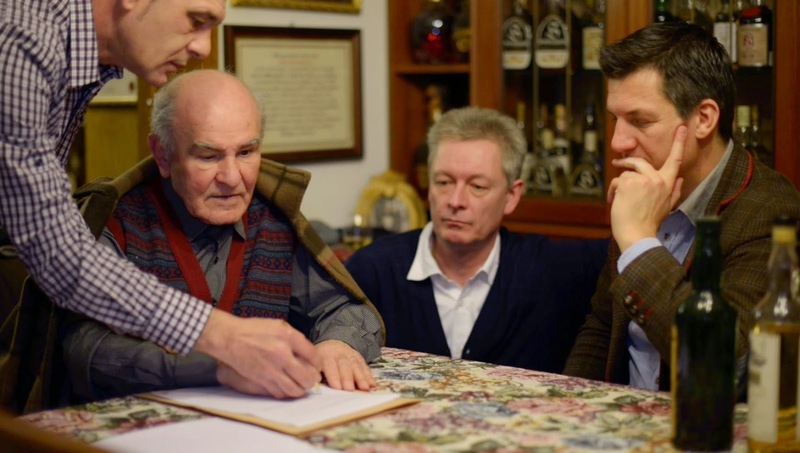 Valentino Zagatti is an 83-year old Italian who collected the best bottles of whisky from across the world, despite the fact that he has been blind since the age of twelve. The collection containes 3013 bottles of Scottish single malt whisky. Zagatti lives together with his wife in a relatively small familyhouse in Italy. All bottles are closed and cover the wall in his house. With the arrival of the most famous Scottish whiskycollection worldwide, our country is enriched with another whiskeypearl. We already had the world largest whisky fair and the first whisky camping in the world. 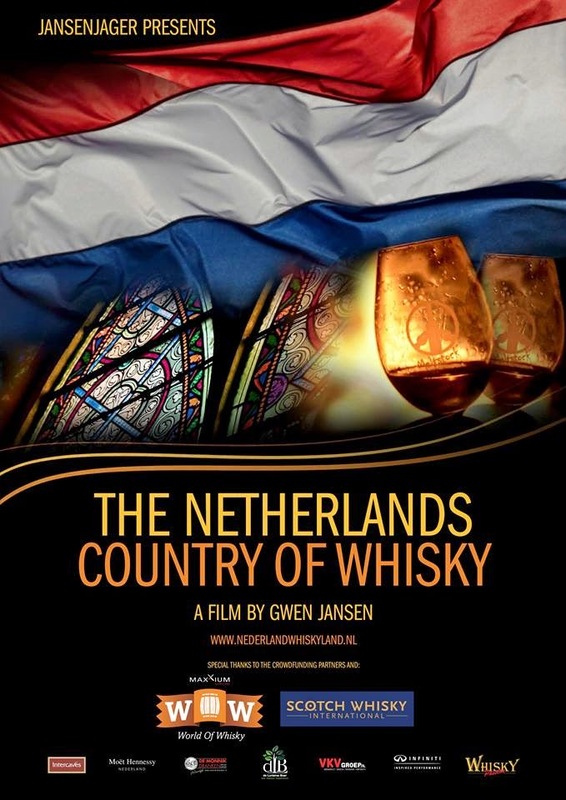 The documentary ‘Nederland Whiskeyland’ shows the viewer the remarkable rich whiskyculture in the Netherlands. Prominent Scottish whisky experts confirm on camera, slightly astonished, that the Dutch probably know more about Scottish single malt whisky than the Scotch do themselves. More than 2.5 million people drink whisky in our country. Producer of the documentary is JansenJager, Beeldmakers. It is the first long documentary filmed by Gwen Jansen (40). She was a succesful entrepreneur in the automotive branche. Three years ago she sold her companies, which made it possible for her to focus on her biggest passion, namely making films. She launched the website www.nederlandwhiskyland.nl and started a crowdfund campaign in order to gather the required capital to make films without subsidies. Many private investors decided to participate, and especially with the support of Scotch Whisky International and Maxxium Nederland/World of Whisky, she managed to put the required capital on the table. There was also support from other organisations, such as Moët Hennessy Nederland, De Monnik Dranken, Infinity Nederland, VKV Groep, De Lunterse Boer, Intercaves en WhiskyPassion. All parties signed an agreemeent that kept Gwen Jansen in charge of the content of the movie. Jansen also instituted a Board of Advisory with independent experts from the whiskeyworld to ensure full independency of the film. Whiskytips is proud to be a member of the Board.